Puppet form: "self-standing" horizontal string marionettes with vertical and rotating moving. 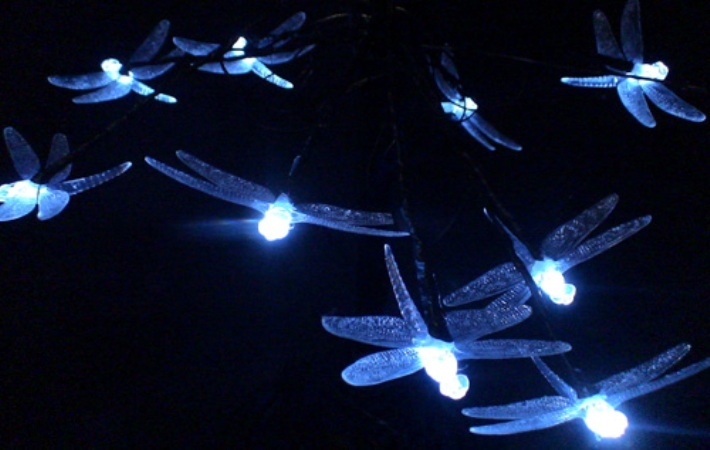 Flight of Dragonflies up to 3 meters. Materials: 10 diodes, electric wire, fiber plastic.